My wife isn’t what you would call a huge motorcycle fan. She doesn’t enjoy riding. And she’s not crazy about the fact that I do. It’s not a matter of fear or safety. Sometimes I get the feeling she’d like to see me crash. Just a little. Something to teach me a lesson. Maybe leave a small scar. No, her issue is one of money. Bikes are expensive. Every dollar spent on parts or gear is one less dollar to throw at our bills. Or a Hawaiian vacation. Because I want to stay married, I don’t push it. And when it comes to owning bikes, I buy used and stick to just one. It’s a bit of a problem because it is so hard to find a bike that’s good for everything. Dual sports will always come up short on the street, crotch rockets aren’t comfortable for long distances and cruisers are boring. Sport-touring bikes seem a logical middle-ground but I’ve found they don’t quite satisfy either. My wife, meanwhile, is not the least bit sympathetic to this conundrum. And she’s not alone in her indifference. Fellow riders are constantly grousing about their inability to spend freely. To achieve the Ducati-BMW-Harley trifecta. Of course, many spend money secretly. And the all time champion of such deceit is a riding buddy I’ll call Tom. manufacturer announced it was ceasing production. At a dealer close-out sale one sunny afternoon, Tom wrote a check for not one but three Buells, putting a more than $30,000 dent in his bank account with a quick stroke of a pen. For some reason it didn’t occur to him that his wife would soon be wielding her own pen over a stack of divorce papers. As a stop-gap measure, he had the bikes delivered to a rented storage unit until he could figure out how to break it to her. 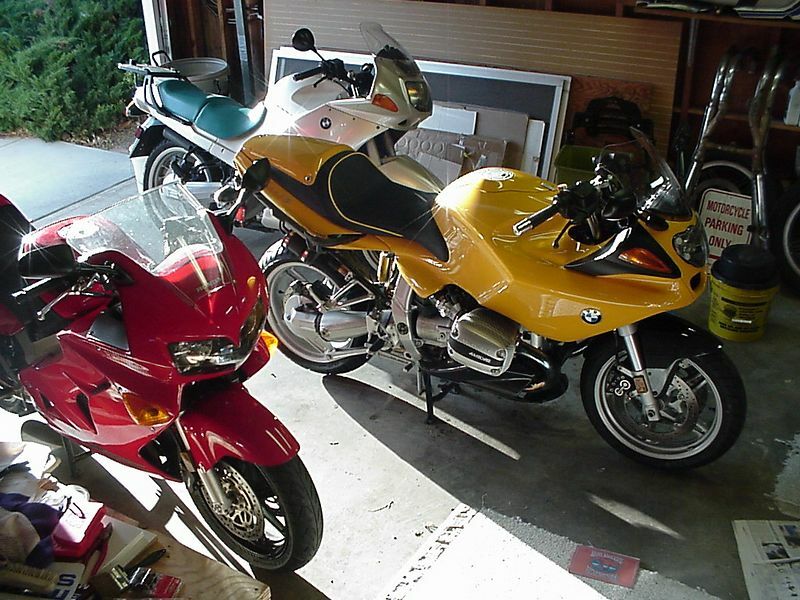 But instead of coming clean, he just … kept the bikes at the storage unit. Forever. Whenever he wanted to ride, he would make up an excuse and head for his bike pad. Kind of like he was having an affair. Maybe that’s what we’re all doing in some small way.